A traditional game of capture. Attempt to remove your opponent’s pieces from the board before they do yours. 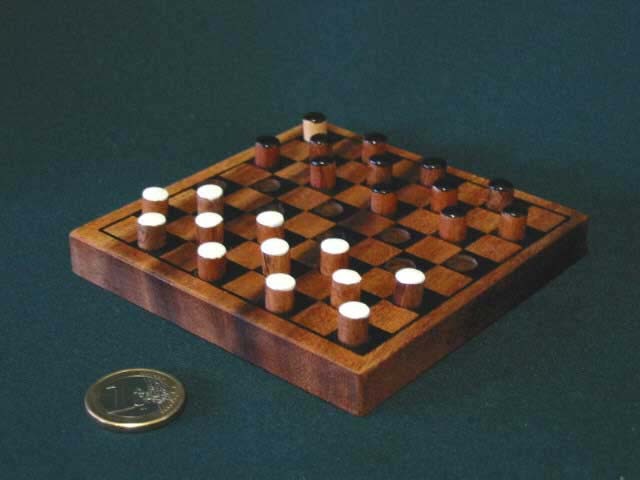 Square chequered board with 7 mm playing pieces. Rules included. Dimensions 110 x 110 x 27 mm.